Why does my implementation of “is 2D point inside 2D polygon” have slightly different results on either side of the same axis? 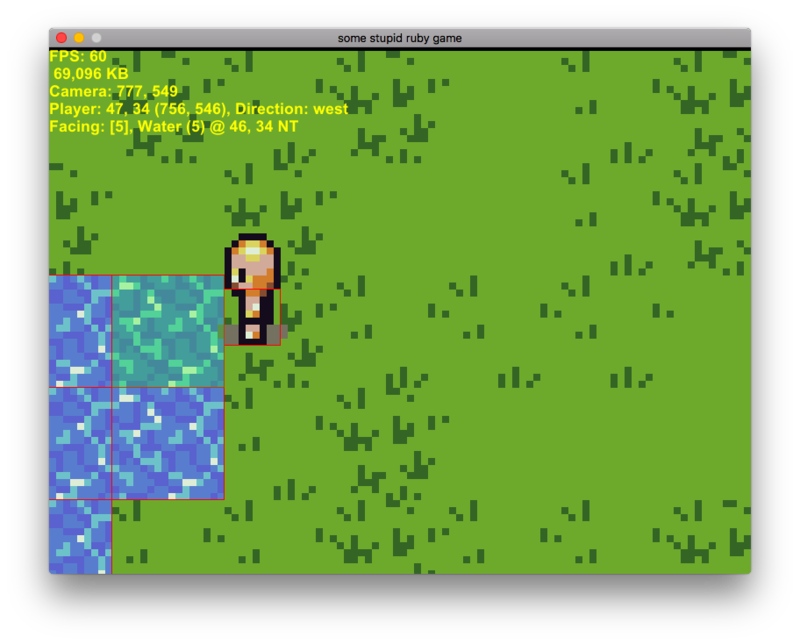 My 2D game is tile-based, 16 pixels per tile. Colliders are defined by an array of points which determine a polygon. With debugging enabled (as it is in the photos) those colliders are outlined with red lines. You can see this on the player and on the water tiles I am using to explain the issue. 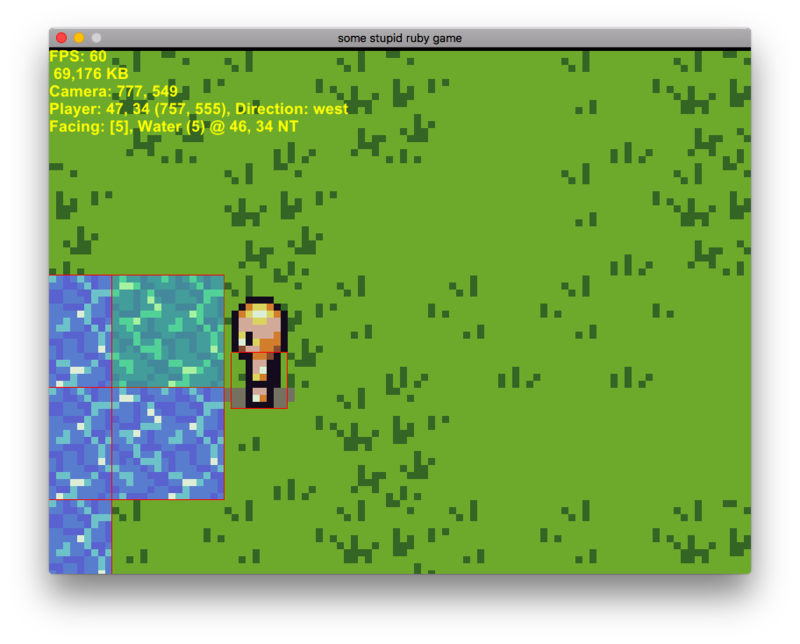 The following two photos are both what happens when the player moves leftwards into the collider of the water tile. The difference between these two photos is the fact that the player's collider collides with the tile collider on its corner. The second picture represents the desired effect. I should clarify that in the photos, the second (lower) water tile is not required to be there to have the same effect. Currently this issue only happens when approaching a tile collider moving upwards or leftwards. This has the effect of preventing the player from moving along the tile into a new tile - the corner of the adjacent tile catches the player's collider and stops movement. Here is the code I'm using to determine if a point is within a polygon. This function is called on each point that makes up the collider of the player. Any insight as to why this might be happening at only at leftwards and upwards directions is appreciated. Browse other questions tagged collision-detection movement tiles ruby or ask your own question. Best way to handle cornering in a 2D maze game? How to code a multi level isometric map?